ApexSQL Monitor incorporates system, SQL Server and database performance metrics, along with specific sets of metrics related to wait statistics, indexes and AlwaysOn SQL Server configuration. Also, it allows user to add custom metrics, as well. 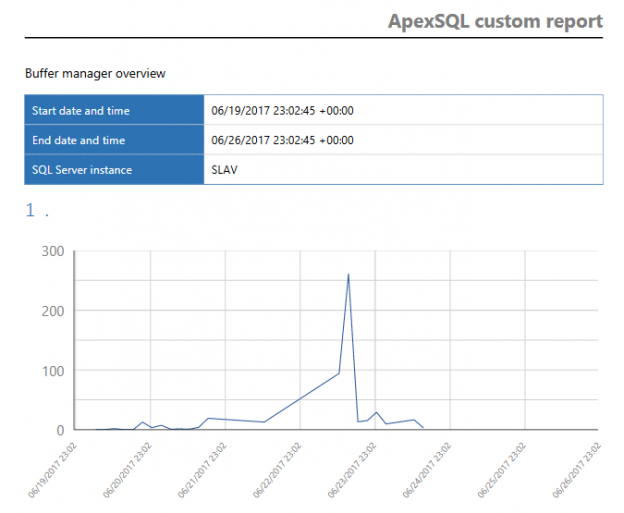 This article describes how to utilize the Custom reports feature in ApexSQL Monitor. Timely, queries will be collected and added automatically for monitoring. Within the Query waits view, users can review query execution time and other information like total wait time, execution count etc. This article explains how to encrypt the connection between SQL Server instance and ApexSQL tools. After adding a SQL Server instance in ApexSQL Monitor, all databases present in that instance will be included for monitoring, by default. This article explains how to review and resolve triggered alerts and generate summaries using Reports feature. This article shows how to utilize the Create command functionality, how to include the action tags within a command line and perform command testing in ApexSQL Monitor. This article explains how to use the custom SQL script alert action in ApexSQL Monitor, use the preset action tags in a script and test it, including examples of a few SQL scripts to use to assist in performance monitoring. 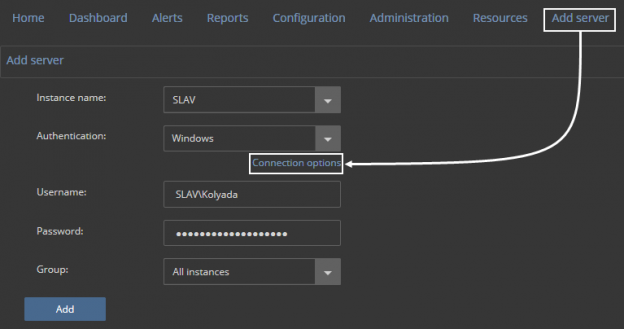 This article explains how to configure SNMP service for localhost, and set up the SNMP trap in ApexSQL Monitor, as a part of the alert actions in system, SQL Server and database performance monitoring.